CoInternet is proving to have the most interactive, intriguing and lucrative domain extension launch to date. TheDomains broke the news, Twitter has been accepted into the CoInternet .CO Founders program. An initiative to get developers involved in launching websites and businesses on quality .CO domains. 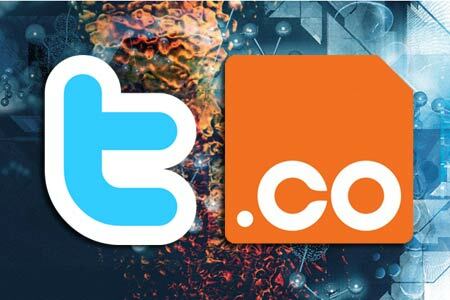 Twitter’s new domain, T.CO will be used as the official link shortener to protect users from malicious sites. T.CO links will appear within all tweets and direct messages. T.CO links will be monitored for malware. If malware is reported or detected then a T.CO link is flagged and a warning is shown to a user before visiting. Users can still use existing link shortening services such as bit.ly, but those shortened links will be “wrapped” within an official T.CO link. Twitter has other big plans for T.CO. The official announcement on Twitter’s blog mentions they will be putting click-through data to work for their Promoted Tweets program and within future commercial applications. 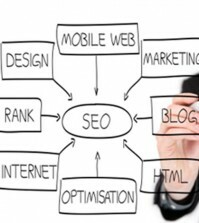 …routing links through this service will eventually contribute to the metrics behind our Promoted Tweets platform and provide an important quality signal for our Resonance algorithm—the way we determine if a Tweet is relevant and interesting to users. We are also looking to provide services that make use of this data, an example would be analytics within our eventual commercial accounts service. Another lively .CO event is underway today. Bidding for the E.CO domain auction has reached over $30,000 on Sedo. All proceeds from the auction will be donated to the charity of the winners’ choosing. The auction is now live and will conclude on Jun 10th at 4PM EST. Bidders must be certified for this special auction. Follow the links on e.co or Sedo for details. The public launch for .CO domains is nearing. July 20th is the official date for general availability. Right now, you can pre-register .CO domains at GoDaddy for $29.99/yr. If multiple people pre-register the same .CO domain it will go to auction, but your initial fee will be refunded if you don’t get the domain you want. The adoption of .CO by Twitter and the brilliant management and promotion of the extension by CoInternet is definitely a strong sign that quality .CO domains will prove valuable. What are your thoughts? Please leave a comment below.